Dave Graf started playing trombone in the 4th grade and just kept going with it. 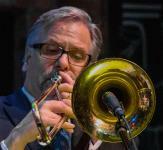 Dave is a versatile and in-demand trombonist, and has worked in a wide range of musical settings, including performances with Slide Hampton, Herbie Lewis, Jack McDuff, Charlie Persip and Superband, The Toshiko Akiyoshi/Lew Tabackin Orchestra, and The Woody Herman Orchestra. Locally, Dave has backed stars like Natalie Cole, Tony Bennett, Aretha Franklin, Harry Connick Jr., Julie Andrews, and many others. 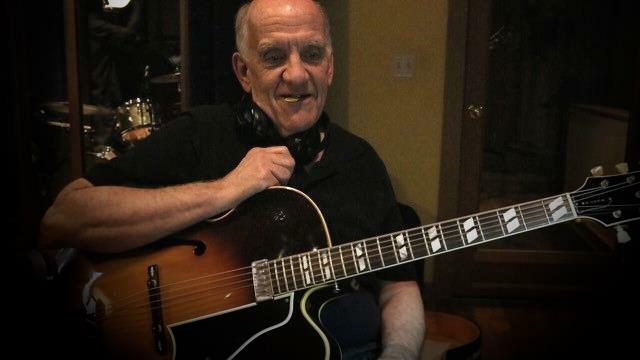 Dave has been a fixture on the Twin Cities big band scene for decades. He has played in the The Haining-Agster Explosion Big Band since its inception, and performs locally with the JazzMN Orchestra, the Wolverines, the Cedar Avenue Big Band, and the Twin Cities Latin Jazz Orchestra. He can often be heard (and occasionally actually seen!) in local pit orchestras for Broadway shows at the Ordway and other local theaters. His debut recording as leader, "Just Like That" (Artegra), was released in 2005. Dave also teaches, writes, arranges, and works as a graphic designer. Dr. Steve Wright is a nationally recognized trumpet and flugelhorn soloist, as well as a composer-arranger of hundreds of works. After graduating from the University of Iowa, he played jazz/lead trumpet player with the United States Navy Airmen of Note. Since 1972 he has been a mainstay of the Twin Cities music scene, performing, recording and writing in many musical styles. Steve is recently retired from Gustavus Adolphus College in St. Peter, where he was Director of Jazz Ensembles and professor of Trumpet. As a trumpeter, Steve has played in everything from the Minnesota Orchestra to recording tracks for Motown Records. He has played lead trumpet for such stars as Tony Bennett, Sammy Davis, Jr., Peggy Lee, Rosemary Clooney, Johnny Mathis, Joe Williams, and many others. 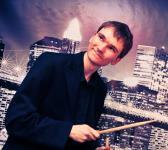 Steve also performs with the Goteborg Brass Band, and the Lake Superior Chamber Orchestra, as well as his own big band. 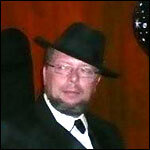 Kent has been playing professional guitar, bass and banjo for over 32 years. Kent has performed on soundtracks for records, commercials and industrial films in his career, and has backed national acts here and throughout the country. The list is too long to include, but some of the artists are Oscar Peterson, George Shearing, Pearl Bailey, Louis Bellson, Nancy Wilson, Benny Goodman, Jerry Lewis and Bob Hope. Kent has also performed with the Minnesota Orchestra, St. Paul Chamber Orchestra, and in numerous Broadway show orchestras. A native of Chicago, Phil Aaron studied piano and composition at Northwestern University, Berklee School of Music and The University of Illinois. He was Music Director in The UCLA dance department for ten years, where he collaborated with numerous luminaries in the dance world. Phil has served on the faculty of Santa Monica College and The University of Minnesota. As a composer, Phil's work is featured in numerous local and national TV shows, documentaries and feature films. 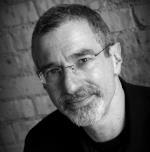 His TV credits include scores and title themes for the Travel Channel, the History Channel, TPT, and PBS. His documentary credits include productions for PBS, Humdinger Films, and Fox Films International. Phil has won regional Emmys for his work with PBS and ABC. He recently finished scoring the feature film “Thrill Ride” which will have a theatrical release in 2017. As a player, Phil has recored five CDs under his own name and has appeared on many others. He has performed with many national and international musicians, including Lee Konitz, Eric Alexander, Delfeayo Marsalis, Jim Snidero, Byron Stripling, Jim Rotondi, John Cage, Bob Sheppard, John Patitucci, Jackie Allen and Barbara Morrison. 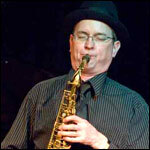 The Phil Aaron Trio has been a mainstay in the Twin Cities jazz scene for over twenty years. Famed jazz historian Leigh Kammen commented “There’s new music in the air...this trio shapes and colors these music materials with crackling tempos, space, wit and taste”. We are indeed fortunate to have Phil occupying the piano chair with the TC7. 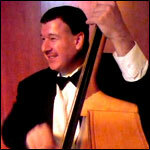 Rick Carlson is a devotee of Count Basie and Duke Ellington, and has played with The Wolverines since 1984. Rick has recorded with local singers Maud Hixson, Charmin Michelle, Judi Donaghy, Sue Tucker and Ame Fogel, to name a few. Rick has backed many national artists including Kathryn Crosby, and Rosemary Clooney. Between the Bass and the Trombone, Steve keeps pretty busy musically. 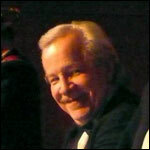 He has played with the likes of Bob Hope, Artie Shaw and Margaret Whiting, to name a few. Locally, he plays with Bill Evans, The Barbary Coast Dixie band, and has played with The Hall Brothers and Butch Thompson. Trevor is one of the best young cats in town. He plays all styles, including classical, jazz, and rock-and-roll. Trevor studied in his formative years with Elliot Fine, and at Indiana University with Steve Houghton. Trevor has quietly gained the respect of area musicians because of his ability to set any type of groove on the drum kit. Trevor also plays tympani with the Bloomington Symphony Orchestra, a civic orchestra under the direction of Manny Laureano. Vocalist Maryann Sullivan has performed with many of the Twin Cities great musicians for nearly a decade. Her collaboration with Doug Haining and the Twin Cities Seven began in 2015. Maryann also fronts her own group, "Maryann and the Money Makers", and has teamed up with vocalist Rhonda Laurie to create a unique group called "Retro Swing Sister". Maryann brings a fresh approach to the band vocals, and delivers a tasty, swinging style.